Hallmark holidays have always been an opportunity for retailers to rack-up some additional sales. Valentine’s Day, once a day reserved for romance and couples, is trending in some interesting directions. With more than 50 percent of Americans identifying themselves as single and not fully committed to a love relationship, the dynamics of the once romantic holiday are changing. The changing social norms are not slowing the momentum of spending. This year consumers are expected to spend nearly $20 billion dollars on gifts for their sweetheart, co-worker or favorite pet. Consumers plan to spend just over $26 on pets for Valentine’s Day. But the tradition has not totally gone to the dogs. The traditional winners in the loving gift department will continue to be candy, flowers and jewelry but gifts of experience are beginning to find favor among consumers. People aged 25 to 34 will be spending the most on Valentine’s Day gifts this year, dropping an average of $202.76 per person. 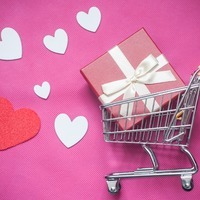 A poll conducted by the National Retail Federation found “the top reasons consumers chose not to celebrate Valentine’s Day were that they considered it over-commercialized, didn’t have anyone to celebrate with or simply weren’t interested anymore.” Sellers spend less time planning their campaigns in advance of Valentine’s Day than other holidays throughout the year, and most consumers wait longer to shop for their gifts. The origins of the lovers’ holiday has been traced back to the second century when Emperor Claudius II executed two religious Martyrs named St Valentine. The original February 14 holiday doesn’t appear to have been about romance or love. It wasn’t until the early 20th century that Hallmark Greeting Card Company’s forbearer started distributing Valentine’s Day cards. By the start of the 21st century, more than 60 percent of Americans celebrated the holiday. Despite the falling popularity of Valentine’s Day, total spending during the holiday continues to rise and the bulk of the spending will be for significant others and spouses. Co-workers, family members, classmates and pets will join the rank of favorite relationships in 2019. Move Over Santa, Here Comes The Great Pumpkin!